Bag plugs are for use wherever a plain rubber bag would not hold. Bag plugs consists of an inner bag made of a high quality Natural Rubber bladder that is then encased in a 100% Polyester fabric cover. The gauge of rubber and polyester vary with the size of the bag. 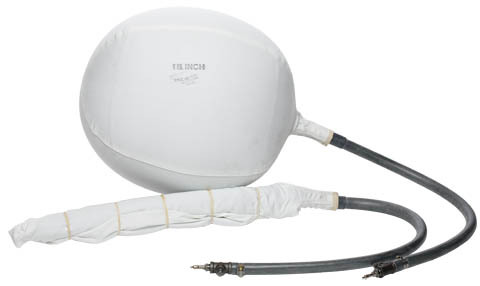 Each size bag is expertly made to insure a snug fit and good shut-off when inflated. Natural rubber with poly cover pipe plugs(nitrile available). Note:e: Bag Plug Inflatable Expansion plugs are less effective at higher limits of expansion than in the mid range. Let us help you by supplying the proper sizes for your requirements.